January 17, 2019 -- At RSNA 2018, it became clear that previous years' discussions about deconstructed PACS have subsided. The situation was completely different at RSNA five years ago, where the topic was on everyone's mind -- deconstructed PACS was expected to fundamentally change the IT architecture of medical imaging solutions and redefine the vendor landscape. PACS was expected to die off and go from being the core of medical imaging systems to a smaller workflow engine squeezed in between the vendor-neutral archive (VNA) and the zero-footprint viewer. This scenario was described in the article "PACS in 2018: An Autopsy" by Don Dennison, published in the Journal of Digital Imaging in 2014. His predictions about the death of PACS spread like wildfire among healthcare providers and had a significant impact on procurement decisions and tenders. The article envisioned the year 2018 and a situation where PACS had been replaced piece by piece. This concept was further amplified by Brad Levin in a 2014 article on AuntMinnie.com. The birth of deconstructed PACS came as a result of radiology departments growing tired of vendors' lock-in effect. They felt forced to pay high service fees for systems that didn't meet their expectations in terms of interoperability with other medical images and surrounding systems, resulting in poor usability and user satisfaction. For years, PACS vendors had claimed they could act as enterprise imaging systems, handling all kinds of images. In reality, most lacked the basic ability to capture the desired image metadata to make the images effectively interoperable or to integrate the capture process into clinical routines without substantial disruption. Their customers started to seek a best-of-breed approach. This major shift in customer requirements provided an opportunity for storage vendors to push for the "A" to be removed from PACS, separating the archive from the workflow engine and the viewer. This solution was -- incorrectly -- marketed as "vendor neutral," hence the name vendor-neutral archive. A further development involved separating the viewer from the PACS, which was enabled by enterprise zero-footprint viewers that were touted as containing the same advanced clinical applications and offering the same performance as a traditional PACS workstation. In short, deconstructed PACS was about a philosophy to allow providers the freedom to use whatever archive, viewer, and workflow components they wanted, delivered from various vendors. Today, we see a few major healthcare providers that fully adopted the approach. Implementation turned out to be more difficult than first assumed, and there are some fundamental reasons why the trend didn't materialize as predicted. Why did deconstructed PACS take a different turn? Looking at the IT architecture changes predicted by Dennison and Levin five years ago, many have been realized today. But PACS never truly died off in the way they anticipated. Instead, the new market demands on interoperability forced PACS vendors to change and adapt their offerings to true enterprise imaging solutions -- and many succeeded. Difficulties in harmonizing vendors' various business models. Different vendors could not agree on the same price for different types of exams. For example, it didn't make sense to charge the same price for a dermatology image as a radiology image. Agreeing on a price across vendor boundaries also proved complex when the VNA, workflow engine, and viewer came from different vendors. Interoperability didn't match expectations. The integrations between the VNA, workflow component, and viewer didn't work as smoothly as promised. Vendors did not succeed in gluing their components tightly enough together to enable an efficient workflow. This resulted in a suboptimal workflow for the users. Healthcare providers could not manage all vendor relationships. The management of different vendor relationships became too complex. The lack of a single contractor resulted in vendors blaming each other. The philosophy of deconstructed PACS arose for a reason, and I respect those providers who took the steps to adopt it. Today, there are a few sites that succeeded in creating a good workflow. But due to the challenges and shortcomings involved, most healthcare providers today ask one vendor to provide all components of an enterprise imaging solution, instead of asking different vendors to provide different components. Most medical imaging departments found that the most cost-effective way to implement an enterprise imaging system was to expand their existing departmental PACS to handle other imaging. PACS vendors often have good knowledge about the clinical workflow, and due to the deconstructed PACS trend, they are now much more open to integrating with other systems. All applications do not necessarily need to come from one vendor, but there should be one contractor. Moreover, this approach also provided an opportunity to benefit from integrated diagnostics -- to correlate reports and images from radiology and pathology. A parallel can be drawn to electronic medical record (EMR) systems, where it would be very difficult and expensive to realize a good and secure workflow if all different components were purchased from various vendors. Today, both PACS vendors and "deconstructed vendors" have adjusted to offer a so-called "one-box deconstructed PACS." The PACS vendors have, to a much greater degree, improved their capability to comply with standards, provide open application programming interfaces (APIs), and integrate with components from other vendors. The deconstructed vendors have, in turn, broadened their product portfolios and can now provide all components as a single vendor through a mix of proprietary and third-party products. The final take on the deconstructed story is that it forced vendors to provide better solutions. As is the case with most revolutionizing technology shifts, deconstructed PACS was driven by a strong customer need and resulted in more cost-efficient solutions with improved usability and an openness to integrating with other systems. Deconstructed PACS gave birth to and enabled the new trend of taking the PACS you already have in place and expanding it into an enterprise imaging system to handle all medical imaging -- delivered by a single vendor, but with best-of-breed components. This is one of the main reasons why we didn't see many PACS vendors at RSNA 2018 but instead saw enterprise imaging vendors. 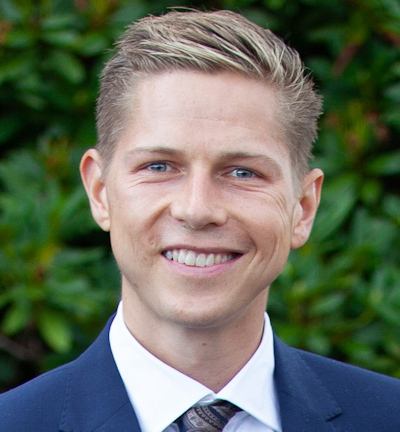 Simon Häger is a market strategist for Sectra. He is responsible for watching trends and customer needs within everyday imaging diagnostics. He has a background in medical imaging that spans digital pathology, radiology, and enterprise image management. This article was adapted from one originally published on LinkedIn by the author.